A major factor getting everyone in the industry talking is that the RT-4 is an absolute powerhouse for its size. Powered by a Kubota 1.8L Tier 4F DOC engine providing 37.5hp, coupled with high auxiliary circuit flow rate of 50 litres per minute, the RT-40 forms a new class of track loader, which perfectly blends high power and tight accessibility. The RT-40 boasts 40 per cent higher rated operating capacity, 27 per cent greater tractive effort, and 30 per cent increase in travel speed compared to its predecessor, ensuring you will get the job done quicker and easier than ever. 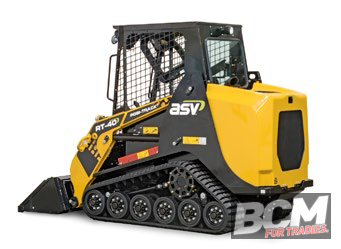 In comparison to the already-popular RT-30, the RT-40 offers a larger operator station, with 8cm added headroom, a bigger seat, and 25 per cent more glass area across larger front, rear, side and skylight windows. 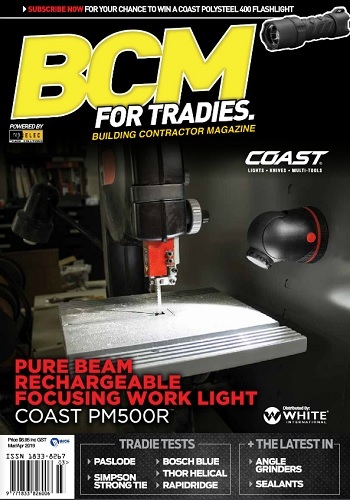 This results in not only greater operator comfort, but also extended visibility in all directions. 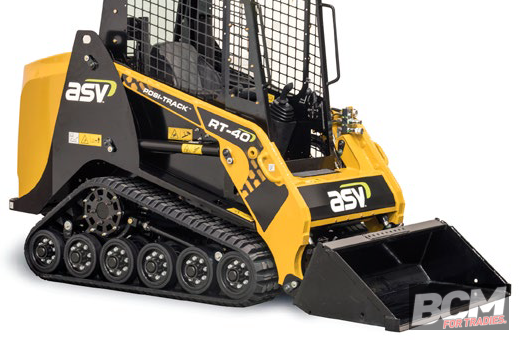 Like all ASV Posi-Track Loaders, the RT-40 boasts the easily-serviced and-maintained patented Posi-Track undercarriage system, with an industry exclusive suspension system providing unmatched traction and operator comfort.